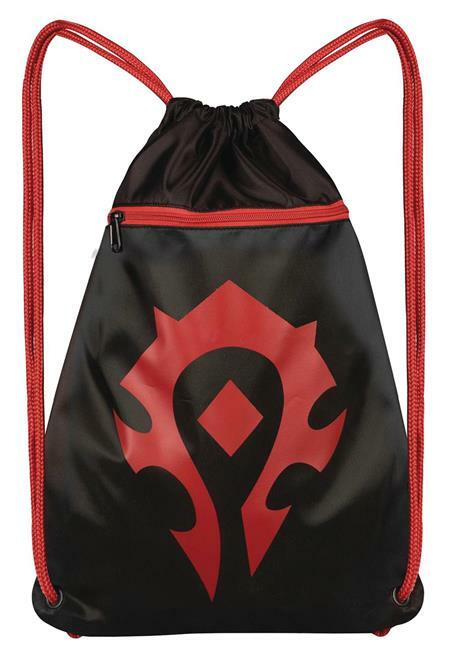 Be sure to pick up the NEW World of Warcraft loot bags for all that shiny new gear. Proudly rep your faction while keeping your hands free to loot the fallen. This Durable black polyester bag features a red Horde logo on front and matching red drawstrings. Measures approximately 14 inches wide by 19 inches tall.